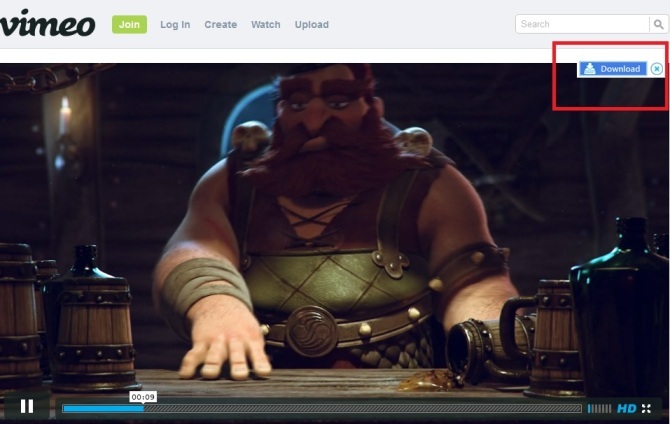 There are hundreds of Download managers are available on the net which allows you to download videos from online video sites and also allows you to accelerate the speed of the download. But most of them not upto the mark, some of them don’t have some good features and cannot download clips very quickly. If you are looking for the best free download managers for your windows PC with some great features like download online videos, accelerate your download speeds, pause and resume downloads and more. Then you have to try the free application called EagleGet. The application is free to use and small in size near about 4MB only. The best part of the application is that it automatically organizes the download files in different categories, such as Media, Documents, Software and other. The application has the nice and clean UI and allows you to download any type of file like EXE, ZIP, MP3, MP4, WAV, PDF, AAC and more. Also the application also supports to your favorite browser Firefox and Google Chrome. All you hvae to download this free application on your Windows PC and you are ready to enjoy all its new features, you can find the download link at the end of this post. 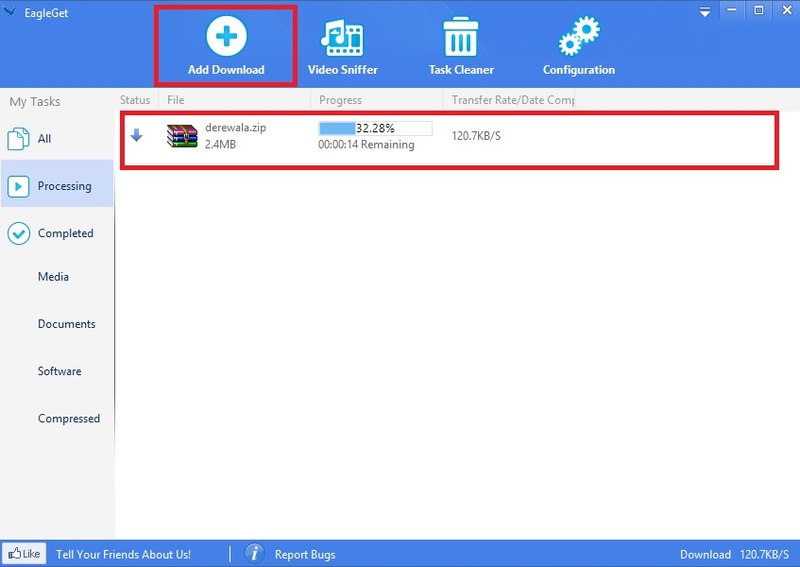 Once is the application is download and installed on your windows computer, you can easily add your download link on the application withe the help of “Add Download” from the application screen, you can add as mush as link in this feature and start the download process with a single click. 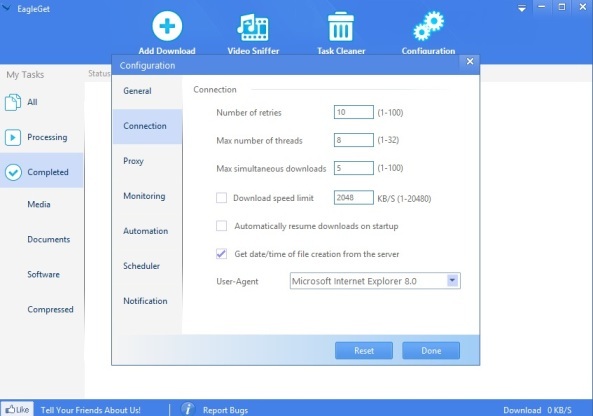 The application also allows you to select Internet connections and to check the integrity of your files after the download is complete. You can find all these setting from the Application configuration page, from here you can make some change on your download manager. You can also enable a PC shutdown once all your files have been downloaded. Also when all your downloaded files are complete it will give you the notification on your desktop screen that you files are downloaded and saved on the folder. From that notification alert you can quickly open the file or navigate to its folder. Overall the Eagleget Download manger is all in one download manager for windows user and works fine on all Windows XP, Vista, 7 and 8 computers. A must have application which help you download music, videos and documents quickly and efficiently.